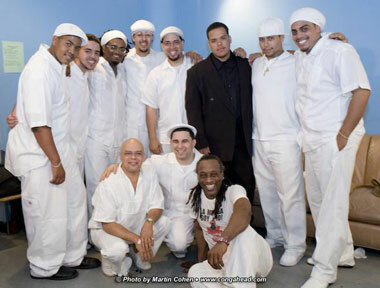 El Barrio's finest rumba band performed their music with invited guest, Little Johnny Rivero, at the club SOB in New York on June 19, 2006. The audience was mainly devoted dancers, not all of whom were with rumba backgrounds but all shared the enthusiasm for this infectious music. Dance virtuoso Pupi, of Calle 54 fame, inspired their footwork with his own examples of amazing feats of dance.